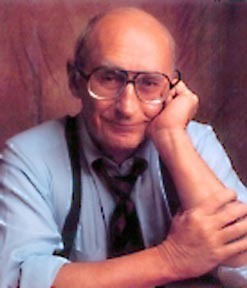 Mike Royko, a columnist for three different Chicago newspapers, was a legend in the city. He was known for hard-hitting stories about Chicago politics and the like. However, when you’re a columnist, you’ve got deadlines to meet regardless of the flow of the news. As a result, sometimes Royko turned to whimsy. Sometimes, it came in the form of making fun of neighboring states such as Indiana and Iowa. Or, in the case of a 1980 column for the Chicago Sun-Times, it would come in the form of a “conversation” with the literary James Bond. The Sun-Times, Royko’s professional home from 1978 to 1984, this week dusted that story off and posted it anew. The inspiration was the announcement that a new series of James Bond continuation novels by John Gardner had been commissioned. Royko clearly had read Ian Fleming’s original novels. He knew, for example, Fleming’s original martini recipe in detail. And he was aware of Bond’s dietary habits. However, the gist of the column was 007 must be getting along in years. After offering Bond a martini or a double bourbon, Bond begs off. He first asks for white wine or just Perrier. To read the column, CLICK HERE. h/t to . @bondmemes on Twitter.